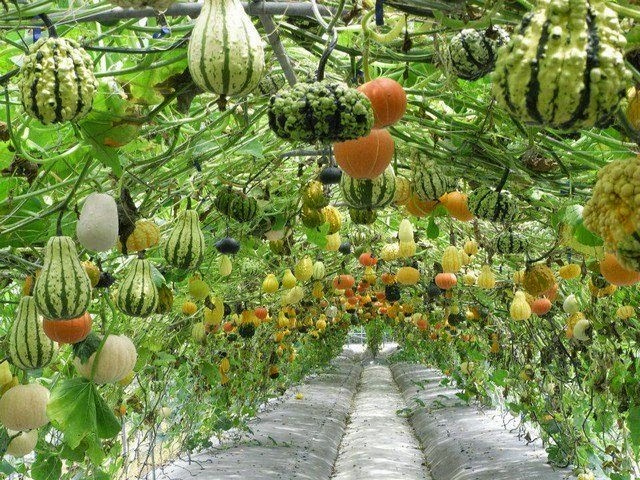 Today in outdoor architecture: A super cool tunnel made of steel and living pumpkin plants. The colour, the contrast between the geometry of the steel and the organic shapes of the plants, and the amazing filtering of the light all come together to make this an unusual and interesting space. Would love to put one of these in my garden, or even in the grounds of a school or public building.